The epitome of unlimited, portable backup power for complete peace of mind. From phones to refrigerators, and everything in between, with the Goal Zero Yeti 1250 Portable Power Station, you have the power to back up your life in any situation. Ditch the noise, fumes and gasoline and enjoy unlimited power from the wall or the sun. 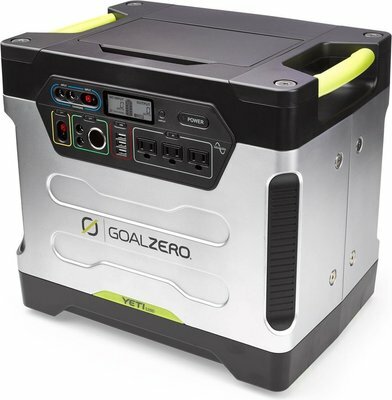 The Goal Zero Yeti 1250 can be charged by connecting a compatible solar panel (see the chart below for solar compatibility or use our Solar Charging Calculator). When charging gear with the Yeti 1250, take note of the LCD Battery Display. 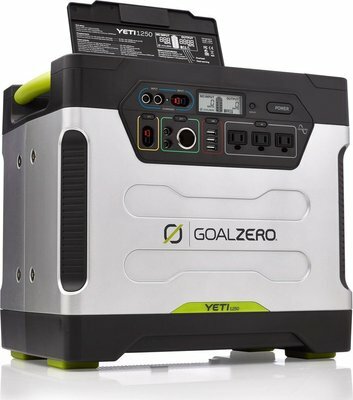 If you plug in devices that have a high power requirement (a large refrigerator), the charge level of the Yeti can drop very quickly and you may not get exactly 1250Wh of power. On the flipside, if you're recharging devices that draw power more slowly (a small TV), you will get closer to 1250Wh. If you're experiencing shorter run times, you make want to check the device's power requirements. Cold temperatures (below freezing) can impact the Yeti's battery capactiy. 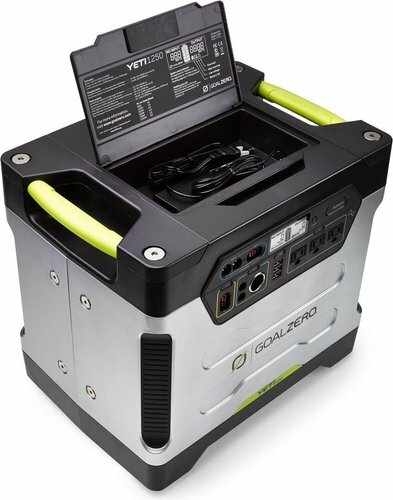 If you'll be living off-grid in sub-zero conditions, we recommend keeping your Yeti 1250 in an insulated cooler, and connected to a power source (solar panels). 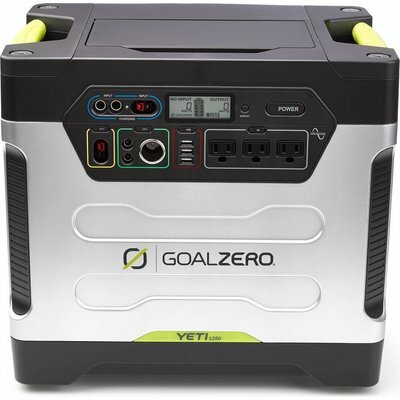 The natural heat generated by the Yeti 1250 contained in an insulated cooler will keep battery capacity at its highest. 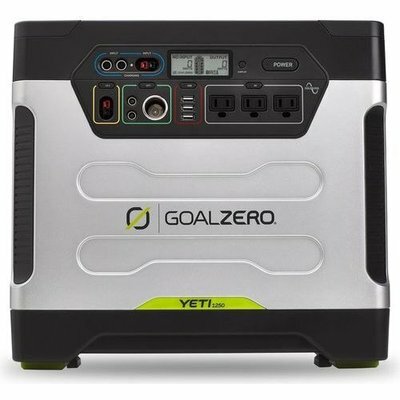 If you can't keep the Yeti 1250 plugged into a power source during storage, fully charge your Yeti 1250 every 3 months and store in a cool, dry place. Failure to maintain the Yeti 1250 by following these steps can result in battery damage which will void the product warranty. Looking for more power from your Yeti 1250? You can extend the run time of your Yeti 1250 by connecting it to additional 12V, 100Ah batteries. The connector on the back of the Yeti 1250 is an Anderson Power SB175. Connect only 100Ah, 12V lead-acid batteries (or similar, 175Ah Max) batteries to the Yeti 1250. When additional batteries are chained to the Yeti 1250, you will experience increased charge times - this is a result of having to charge up the chained batteries in additional to the Yeti 1250.